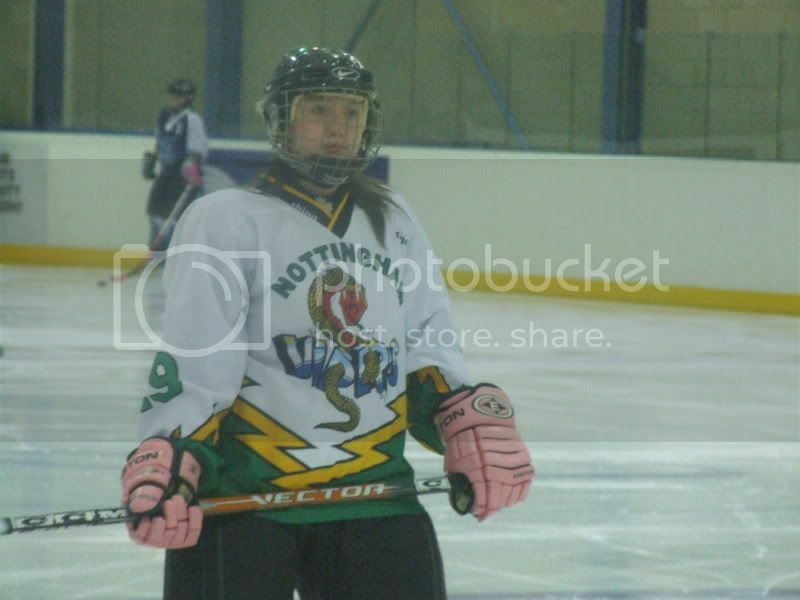 Nottingham Vipers play Billingham Wildcats on Sunday should be the game of the season as it is the league decider. Any support would be great!! Well, to finsh of such a good season for the Vipers, we have been promoted to the Premier League ;D Winning 11-1 in the final guarenteed our move up to the top division. Ha! What about that highstick? that was abit rude becky. Looking forward to playing against you and the rest of the Vipers next season Becky... actually it will be very strange. Can't wait for the fixture list to come out! Hey Becky... our fixtures are poo!!! A load of games early on, none in December and loads at the end of the season!! Anyways... 3 March 2007. As my brother says.... "I predict a Whyatt!" And that would be a goal scoring riot, since we have just signed a load of players. Some of them are HUGE signings, but I have to keep in under wraps. When is your first game? i did promise that as soon as I was back in the UK I'd come and see the Vipers play. I'm back. The season hasn't gone to a very good start. I can only comment on the Sheffield match as I have had to work for the other games but we have come along massively despite what the score says. The team as a whole have come together and we're working more as a team. Since being promoted this season, to the Premier League, we've felt the effects of being at the top! Congratulations to 4 of the Nottingham Vipers who have made the Northern England team! Oh and before anyone asks why I'm not there.... I got kicked off the team, cos they found out I play for Wales.